Insults and belittling are an integral part of Shark Tank; a lot of people tune in specifically to hear Kevin O’Leary’s trash talk. But the show has gotten a bit too negative as of late, with the Sharks (especially O’Leary) spending too much time insulting entrepreneurs and not enough time guiding them. Tonight, then, was a breath of fresh air. While Mr. Wonderful was as nasty as always, the other Sharks offered some great feedback to an entrepreneur with an interesting idea in need of some refining. Amy Roiland’s plan is simple: She wants fashionistas to influence others and earn money by tagging their favorite brands on FashionTap, a promising new social networking app. It’s a great concept, but the Sharks believe that, thanks to Instagram, the market has already been saturated for some time. Despite their concerns, the Sharks stifled their impulse to talk trash and instead explained why they were so hesitant to make a deal. They also offered a few viable paths to success; for example, Barbara Corcoran suggested working with a big box store. Additionally, the Sharks advised Roiland to not focus on blindly marketing with what little money she has available but rather to think more about cutting deals with business developers. Unfortunately, the Sharks’ good advice is not always well received. 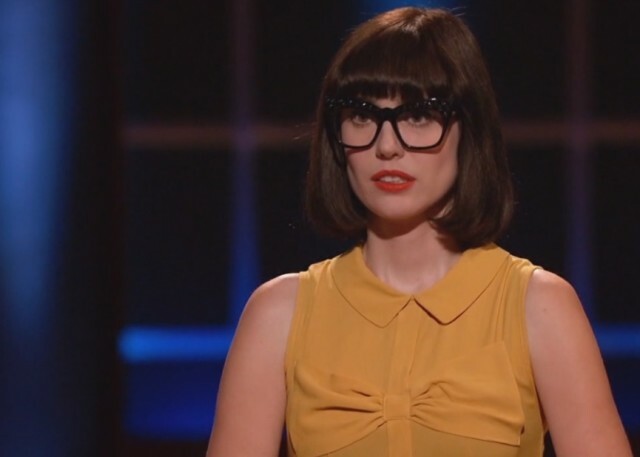 Tonight, for example, Amy Roiland disregarded the excellent feedback offered by Corcoran and her fellow Sharks and decided to hold out for more money — even though the offer she received from Corcoran was fairly generous, given the circumstances. When Roiland turned down Corcoran’s deal, the generosity disappeared and the Sharks started to get a bit nastier. However, by this point, viewers agreed that Roiland was asking for the negativity. A few even claimed that her appearance on Shark Tank was nothing more than a transparent marketing ploy. Corcoran wisely pulled out, and Roiland walked away without a deal. She did, however, receive plenty of notoriety, which is probably what she wanted in the first place. In fact, the fashion app crashed as a result of the traffic brought about by her appearance on Shark Tank. Regardless of their behavior at the end of tonight’s FashionTap segment, the Sharks gave some truly intriguing insight while discussing fashion and social media with Roiland. This segment of the show was very enlightening and thus more valuable than the name-calling that has, unfortunately, become a regular part of the show. Do you think Amy Roiland should have taken Barbara Corcoran’s deal? Comment and share your opinion below.